Bio 500 can now remove up to 99.99% of fluoride (unequalled in our industry) after years of exhaustive research by our scientists. It re-mineralises and ionises ordinary tap water while filtering out chlorine, chemicals, heavy metals, fluoride & bacteria. 5.25 Litre capacity glass reservoir, makes it ideal for domestic & light commercial use. 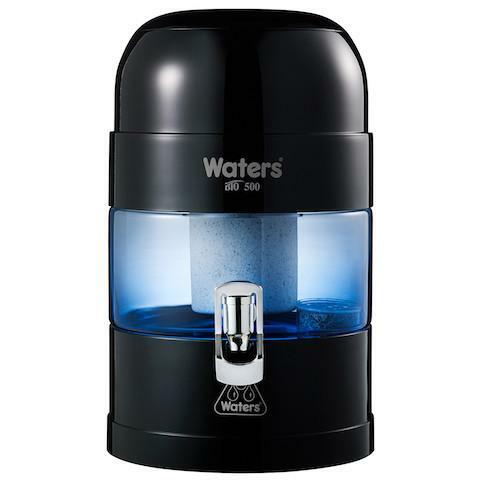 Featuring an unmatched in class 13 stages of sterilising, filtration & activation the BMP 500 turns ordinary tap water into great tasting, alkalised, energised, magnetised and ionised mineral water. 5.25 litre capacity, hand blown blue glass reservoir, great for home and workplace.